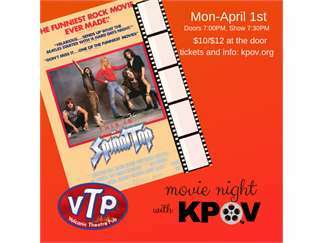 Movie Night with KPOV is a fundraiser for your community radio station. Graciously hosted by Volcanic Theater Pub. Doors open at 7pm, show at 7:30pm. Tickets available at BendTicket. Pick up your tickets without a fee at the station during office hours of 1-5pm, Monday through Friday, just south of downtown at 501 NW Bond.